The first omnidirectional professional PA system of the world is born! Covering 360° and with over 15 meters of intense sound, it is the ideal system to reinforce sound in large venues, both indoor and outdoor. You can find this series in the ceiling mounted version OMNIONDA SKY, and the ground mounted version OMNIONDA EARTH, which, together with the endless finishing possibilities they employ, make them a more than interesting design tool. 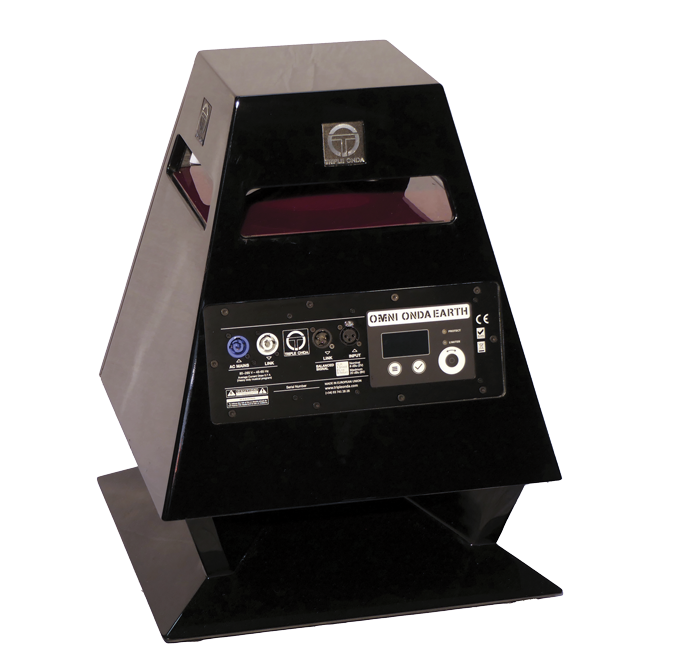 The versatility of the system allows you to use it for as many applications as your mind can imagine, and will make you rethink the way you design sound reinforcement with its 360° coverage. The power of the system’s professional sound with silk highs and strong bass, and its extraordinary quality, together with its omnidirectional diffusion, invite you to listen to its sound for hours, creating and experiencing new ambiences in places where these sensations probably couldn’t have been experienced before. Ideal for sound reproduction in high-reverb venues with difficult intelligibility, such as churches, sport halls, malls, train stations, airports, etc. All of our EXP and OMNIONDA series systems are self-powered and work with the same processor and amplification module, with different presets for each one. 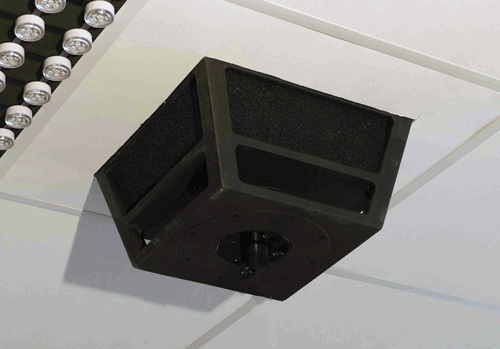 This module can be removed and placed on an aluminum plate adapted to be mounted on a 19” rack, using three rack unit spaces in height, and has speaker outputs with Speakon connectors. We also supply board covers to hide the space left in the loudspeaker when removing the processor-amp. These covers include the Speakon connector. Changing the cover is as simple as removing 10 screws. In the rack, all of the connectors are on the front side, so in a two-side rack, modules can be mounted in the front and in the back, given their low weight and volume. In case you are going to use the system for a fixed installation and you want to have access to the amplifier and your DSP, you can choose this easy option. The FULL XLA system has the same option but the board uses 4 rack units.